The chilly weather is here and I have mixed feelings regarding it. I love cozy oversized sweaters (like the Madewell one above!) with a a pair of booties for any occasion in the fall but I am starting to miss the warmer temps. I normally collect sweaters at the end of the season since they become so discounted but I am hunting for at least 1 or 2 to add into my rotation this season. Stunning look. I love your sunnies. Loving this! That knit is amazing, loveeeee how cosy and autumnal this look it! 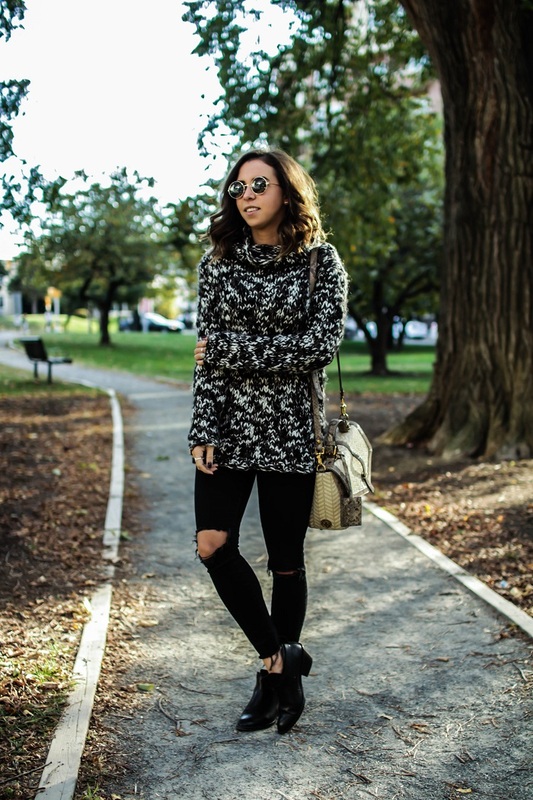 This is totally up my alley- perfect fall outfit! Gorgeous, doll! 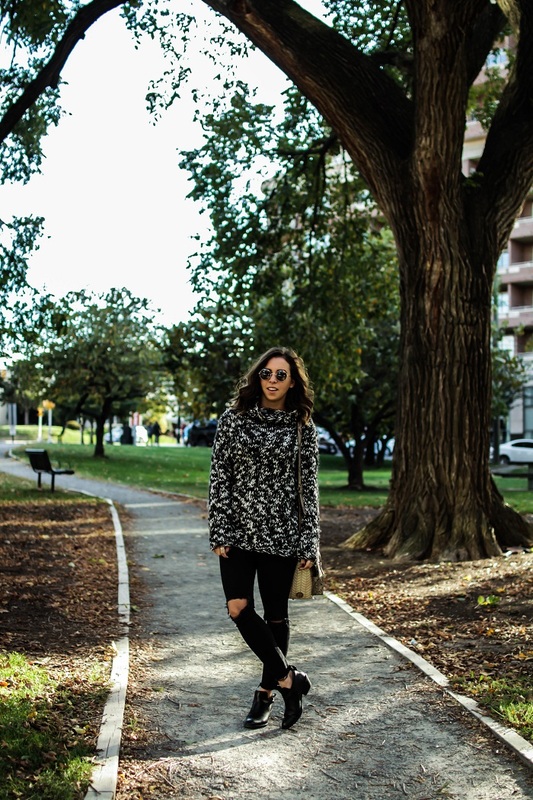 Love oversized sweaters! This one looks awesome! As much as I love the warm weather....sweater weather is pretty great too! (It's the parka weather that I hate). This grey/black number looks so cozy and looks awesome with the black denim! Beautiful sweater. I love me a big chunky knit!